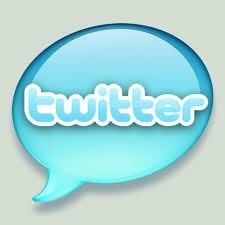 Home » twitter » Does Social Media Advance Medical Knowledge? Does Social Media Advance Medical Knowledge? According to a recent paper, the answer is absolutely! I should mention that this study was brought to my attention via tweet by Dr. Ves, an allergist who is an active blogger and tweeter. How medically efficient, relevant, and useful social media is to a practicing physician utterly depends on "who" physicians follow on the variety of social media platforms whether twitter, facebook, linkedin, or blog. Even videos on YouTube. It also depends on the willingness of physicians to than share interesting medical information they found useful with others who than in turn share with others. Perhaps one of the most difficult aspects in getting started in medical social media is finding who to follow in the first place who is worth following for useful medical tidbits. If you are new to medical social media, I would suggest the following to get started. I should also mention that twitter IS the best and most efficient way to get started learning from and sharing information.